Exceptional homes in a country setting are really quite rare. We now have a listing that is such a home. This home was built in the early 1900′s and has since be remodeled into a luxury home with the following: A newer finished basement. Great eat in kitchen, custom built cabinets, laundry and family room on main floor, 5 bedrooms, 3 baths, 2 car attached plus large outbuilding (with concrete floor) and large barn. Trees and nice views. Appliances are optional. Has inground pool–great for entertainment with patio, privacy fence and deck. Great property for hobby farmer, auto mechanic, wood working, horseman/horsewoman. Newton, KS Inventory is Up. 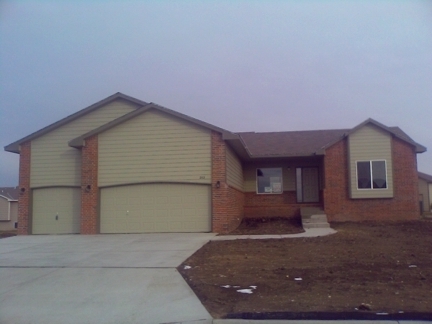 Inventory of homes for sale in Newton, Kansas has been very low for the last half of 2009 and the first few month of 2010. Starting in April, 2010 the number of homes for sale started a rapid increase. In January of 2010 we had only 115 homes for sale, February brought in 105, then March was 103, April 127, May was 131, June 139, July 147, August 160 and September was at 166. On October 1, 2010 there are 160 homes for sale. Inventory fingures of about 150 homes has traditionaly been good for an active real estate market in the Newton area. February existing home sales rise! The median sales price plunged to $165,400, down 15.5 percent from $195,800 a year earlier. That was the second-largest drop on record. February’s median sales price was up slightly from January, which recorded the lowest median price since September 2002. In contrast with the housing boom, when buyers took out ever-riskier loans and maxed out their home equity lines, “homebuyers are not over stretching” said Lawrence Yun, the Realtors’ chief economist. “They want to stay within their budget. By summertime, sales are expected to get a boost from a $8,000 tax credit for new home buyers included in the economic stimulus package signed by President Barack Obama last month.The number of unsold homes on the market last month rose 5.2 percent to 3.8 million, a typical increase for the winter months. At February’s sales pace, it would take 9.7 months to rid the market of all of those properties, unchanged from a month earlier. The bursting of the U.S. housing bubble has caused foreclosures to swamp the market — especially in particularly distressed states like California, Florida, Nevada and Arizona. About 45 percent of sales nationwide are foreclosures or other distressed property sales, according to the Realtors group. Those properties typically sell for about 20 percent less than non-distressed homes. 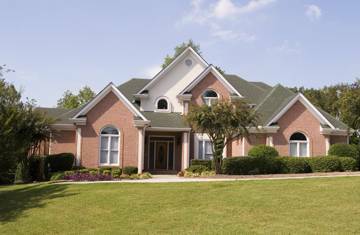 That’s great news for buyers, who are paying the most attractive prices in years. Plus, interest rates have sunk to historic lows. The Federal Reserve last week moved to reduce already low rates by printing $1.2 trillion and pumping it into the economy through the purchases of mortgage-backed securities and Treasury debt. The central bank also will double its purchases of debt issued by Fannie Mae and Freddie Mac to $200 billion. You can do something practical to go GREEN and save money too!! 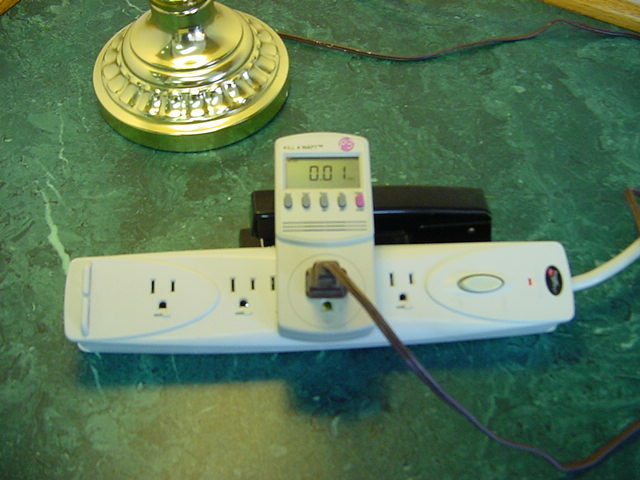 and we can then calculate the energy and the cost for using that device. Give us a call at 316-772-6605 to schedule our “Kill-A-Watt” monitor for use in your home. This is free service of The Franz Team. We have a great house, move-in-ready for you in Spring Lake, S of Newton. What a great new neighborhood, planned and developed to address the needs of families, mature adults who want to live and enjoy a new home, baby boomers who are ready to design their own home and those who like the quiet area with ammenities such as a playground, splash park, walking trail and golfing. This particular plan is a split floor plan with the MA suite on one side of the house, living area in the middle and two additional bedrooms and bath on the other side of the house. The view-out basement is ready to be finished. This house will also appeal to you men, since the three-car garage gives you lots of room to store your big toys, or put in a work shop. For additional information, call Gary at 316-772-6605. This 2 BR, 1BA house is a great investment for a first-time homebuyer, or someone who needs a rental or someone who is downsizing. don’t have any time for, no worries. You can get that all done in a short amount of time. So, don’t delay. Call for more information @ 316-215-1964 and talk to Margie. RISMEDIA, February 4, 2009-Pending home sales increased as more buyers took advantage of improved affordability conditions, according to the National Association of Realtors®. Big gains in the South and Midwest offset modest declines in other regions. The Pending Home Sales Index, a forward-looking indicator based on contracts signed in December, rose 6.3% to 87.7 from an upwardly revised reading of 82.5 in November, and is 2.1% higher than December 2007 when it was 85.9. NAR’s Housing Affordability index rose 10.9% in December to 158.8, the highest on record. The HAI shows that the relationship between home prices, mortgage interest rates and family income is the most favorable since tracking began in 1970. “Significant uncertainty still clouds the housing market despite improved affordability conditions. For a sustainable housing market recovery and, hence, sustainable economic recovery, we need a significant housing stimulus and mortgage availability for qualified borrowers,” Yun added. The PHSI in the Northeast slipped 1.7% to 62.1 in December and is 14.5% below a year ago. In the Midwest the index jumped 12.8% to 83.7 but remains 1.2% below December 2007. The index in the South surged 13.0% to 96.8 in December and is 1.6% above a year ago. In the West, the index fell 3.7% to 97.5 but remains 17.5% higher than December 2007. NAR President Charles McMillan, a broker with Coldwell Banker Residential Brokerage in Dallas-Fort Worth, said the rise in contract signings is encouraging. “However, housing activity remains weak compared with potential demand, and the market is fragile given the economic backdrop,” he said. McMillan said some enhancements that could bring more buyers into the market include expanding the $7,500 tax credit to all home buyers and extending it until the end of 2009, and making loan limit increases permanent. “We also need to direct funds in the Troubled Asset Relief Program to add liquidity to the mortgage market, buy down mortgage interest rates and increase other forms of credit,” he said. Yun said the outlook for housing and the economy is murky. “Although Congress and the Obama administration are taking steps to help the economy, the stimulus package must deal with the root cause of the economic downturn, and apply the right fix to turn it around. If housing is ignored, a significant downward overshooting of home prices would continue to drag the economy down independent of the scale of the stimulus,” Yun said. For more information, visit http://www.Realtor.org/.